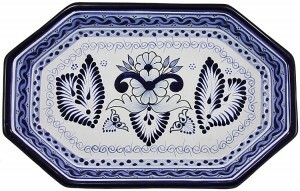 Authentic Talavera Tiles, Pottery and Folk Art - The art of beautifully handcrafted Talavera art has been cultivated for centuries and the extraordinary heritage of the artisans is apparent at a glance. Providing striking accents throughout your home, our wide array of Talavera pieces offer you the opportunity to draw on this legacy as you bring them into your home. Rustic imperfections in the finish provide a special appeal and our selection of tiles and will bring the colors and allure of Mexico to your home. Accentuate bathrooms, cover the risers on a staircase, create borders and backsplashes in your, use single tiles for coasters or trivets – let your creativity shine as you place them in your home. Secondary sets of pictures are provided to show you nine-tile views, border effects, and geometric pattern options to assist you in your planning. Alongside the unique figures, alters, and nativity scenes already offered in our collection of Religious Folk Art , several Talavera crosses have recently been added, exquisitely handmade for worship and decoration. Whether you’re searching for a special gift or a highlight for your own home, the true artistry of each piece will shine through – the only difficult part will be choosing the perfect one from among them. 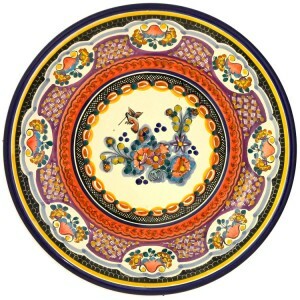 Just when you thought Talavera could not think of one more wonderful thing to do with color, tile, texture and art. We are here to say. They did it again. Browse through all of our eye catching house number flavors. Liven up the exterior of your home with these eye catching Talavera house numbers. Each Talavera house number is hand-painted in Dolores Hidalgo, Mexico, and embodies all the classic charm of Mexican Talavera. Every address number has a grooved, rough-out backing to assist in gluing or tiling to a wall or frame. There are so many styles, colors and designs to choose from. There is no mistaking your address with these stylish and functional designs. 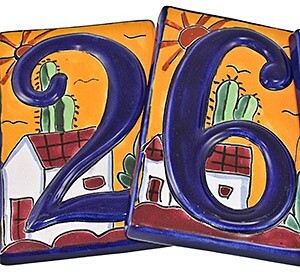 Bring the southwest to your home with our beautiful ceramic house numbers. Each of our rustic house numbers are hand-crafted by master artisans in Jalisco, Mexico. Every address number has a wire hoop for easy, hassle-free hanging. 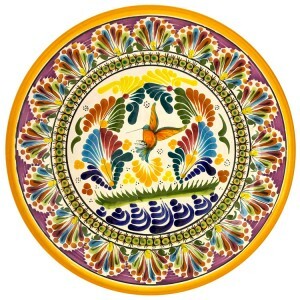 Try the eye catching and unique southwest designs like Terra Cotta or Sand Jar design with assorted color choices which include a green, sand, and terra cotta colors. And last but certainly not least. Our hand-painted traditional house numbers, painted in the USA by a small, family-run business, our decorative ceramic house numbers will improve the exterior of any home. These neutral designs blend with any house color and have coordinating border tiles available with complementary “Welcome” or accent messages. Made from thick, high fired ceramic, and with the same fade resistant and weatherproof finish as our other decorative tiles, these southwest styled house numbers feature a simple, sand-colored background. For simplest installation consider displaying our house numbers in a durable aluminum frame. Make no mistake whatever pattern, color, texture or style you choose. “We’ve Got Your Number”. Don’t be afraid to mix and match styles. That’s the beauty of Talavera. Nearly two dozen high-quality Talavera Figures are readily available for purchase from our online store. If you’re enthralled withCatrinas, then you’re sure to find one to add to your collection today! Some of our personal favorites are the Day of the Dead Ballerina Figures which are available in two sizes. The large Ballerina’s feature an adjustable and removable head and stand over 21” tall. Each unique and vibrant figure is richly painted in classic Talavera motifs. 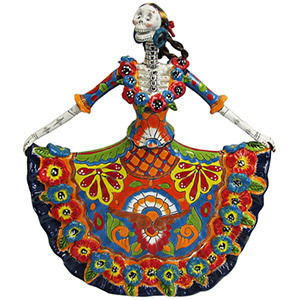 La Fuente offers one of the largest selections of Day of the Dead collectibles online. 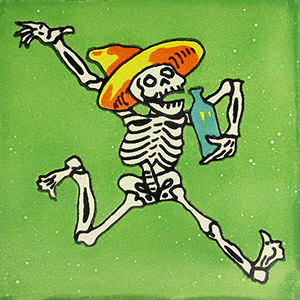 You’ll find Day of the Dead Figures Under $20; Paper Mache Figures; Day of the Dead Tiles and even T-Shirts and Home Accessories. Browse our entire Day of the Dead product line today! 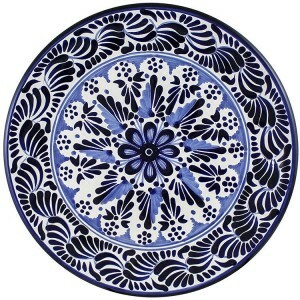 Not all “Talavera” is created equal! 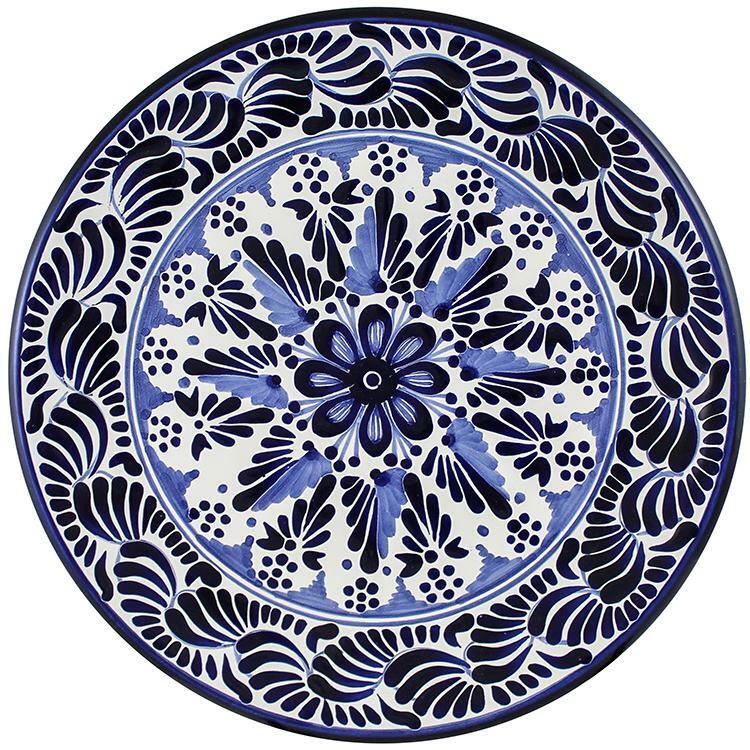 With the ever-expanding growth of fake Talavera for sale in retail and online stores, make sure you are educated before investing in Talavera Plates, Pottery or Planters. 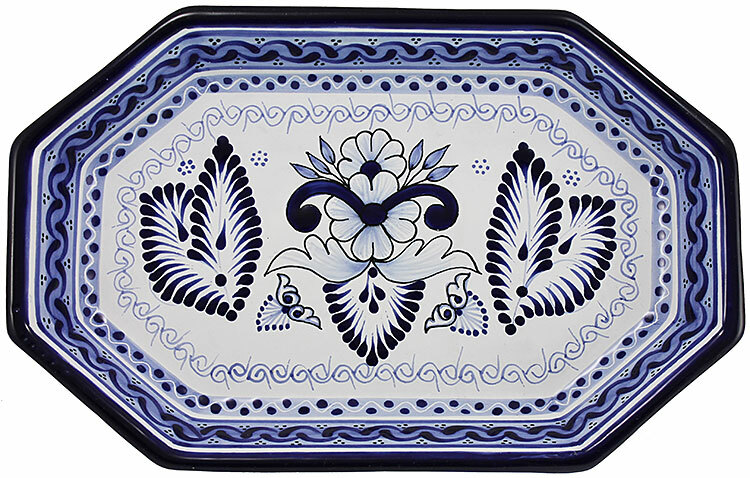 Many large well-known retailers are jumping on the Talavera bandwagon and are marketing “Talavera” that is actually made of melamine (aka plastic). 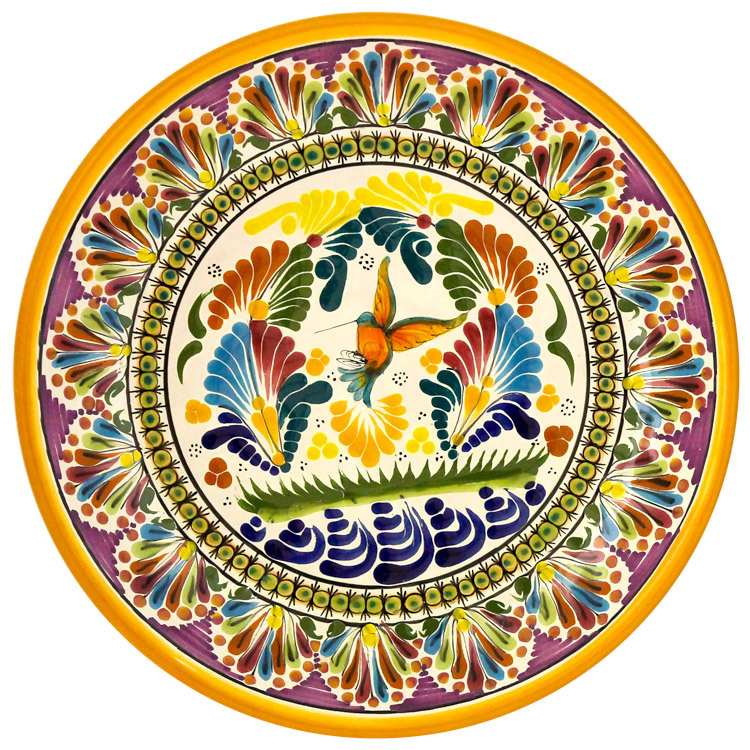 Most of the Talavera Pottery offered in our online store, including all plates, platters, and place settings, is made by hand in Puebla, Mexico, and is 100% lead-free. 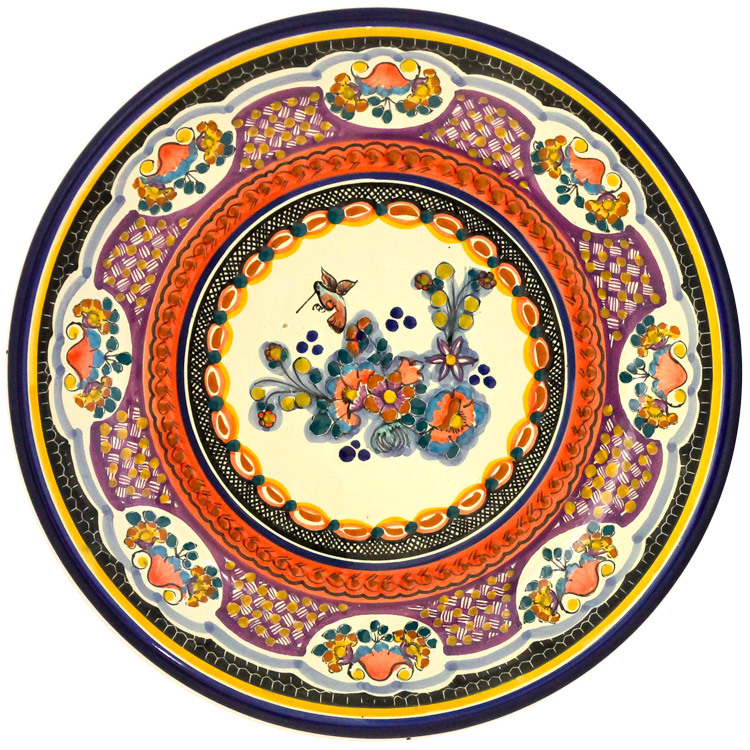 The detail is outstanding, and due to the kiln’s high firing temperature all our Talavera dishware is also crack and chip resistant. Other items, including our Talavera Sinks, canisters, planters, and fruit bowls, come from the historic city of Dolores Hidalgo.